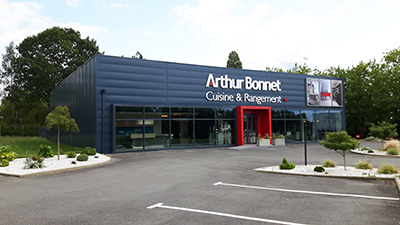 Since 2000, Arthur Bonnet teams have been working closely with major French designers to offer you exclusive and innovative kitchens from our "Signatures" line. Our designers help us create our history and tell our story. They are here to give you much more than a product, much more than a fitted kitchen. They create a real living space: functional, ergonomic and appealing. A space to meet all your requirements! 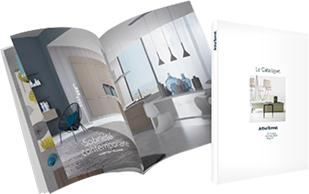 Through this original design approach, Arthur Bonnet can today rightfully claim to be a benchmark in fitted kitchens; the brand regularly receives awards and labels. Designer Christian Ghion creates the Alice kitchen for Arthur Bonnet. One of the best of his generation, Christian Ghion is recognized on the French and international stage for his collaboration with major brands including Cinna, Daum, Fred, Christian Dior, Laguiole and Nespresso for which he has created objects, furniture, vases, jewellery, perfume bottles and table accessories. He is also favoured by celebrities Chantal Thomass and Jean-Charles de Castelbajac who have appreciated his talents as set designer and interior architect. Arthur Bonnet and designer Marc Moreau design their project Attitude, a modern wood kitchen. A graduate in Industrial Design and Design Management, Marc Moreau spent over 20 years managing the design department of major brands such as Vibel and lecturing at design faculties before creating his own agency. Arthur Bonnet begins its collaboration with designer Thibault Desombre. 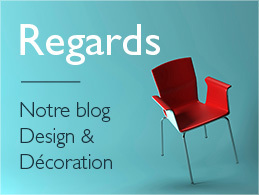 The same year their Rendez-vous kitchen won the Observeur du Design Label awarded by the Association for the Promotion of Industrial Design (Association pour la Promotion de la Création Industrielle – APCI). Feted for his collaborations with major producers including Ligne Roset and Cinna, Thibault Desombre has won many design awards. With the Rendez-vous kitchen, he created a model with a strong personality illustrating the poetic conciliation of traditional and contemporary. With Arthur Bonnet, designer Jean-Yves Lecorre created Icône, a chef’s home kitchen in a Directoire style with simple, uncluttered lines. Graduating top of the year from the prestigious Ecole Boulle, Jean-Yves Lecorre specialises in wood and is a designer who gives pride of place to noble materials. In 2006, wood is also celebrated at Arthur Bonnet with Poésie by Véronique Mourrain, a kitchen in oak reflecting a modern and poetic design. A graduate in interior design and architecture, Véronique Mourrain worked on the décor of Arthur Bonnet showrooms before creating an exclusive model for the brand. Arthur Bonnet and designer Didier Gomez receive a prize for their creativity at the Janus de l’Industrie awards, given by the French Design Institute. This label recognises products that provide genuine value to the user. Arthur Bonnet begins its collaboration with designer Didier Gomez who creates Atmosphère, a kitchen with a free spirit and lounge style. Didier Gomez is a designer and interior architect famous for his many major projects. His work epitomises French style and elegance. As the designer behind boutiques and concept stores all over the world for brands such as Yves Saint Laurent, Jean-Paul Gaultier and Mauboussin, he has also designed many pieces of furniture and objects for producers including Cinna, Ligne Roset and the Conran Shop.